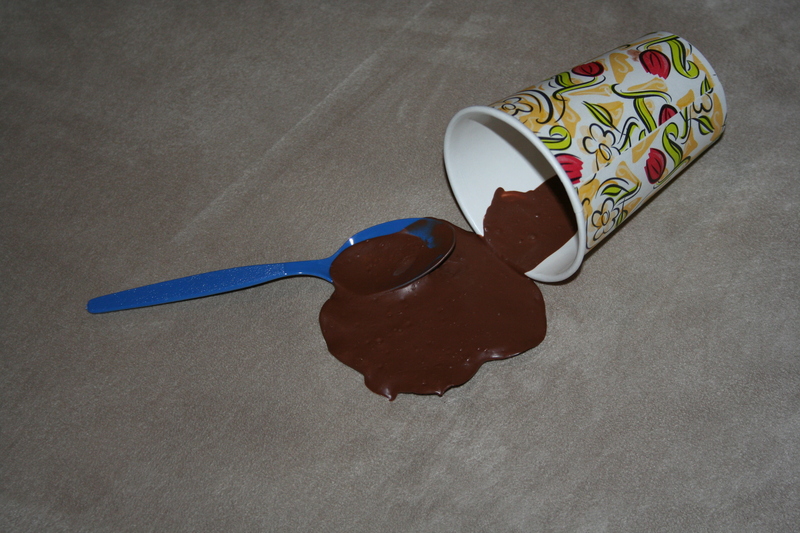 When tackling chocolate stains in your carpet, we have a multi-layer approach for both light and stubborn chocolate spills. First, make sure to BLOT up any remaining liquid or solids. Do not rub. 1. Apply club soda with a damp towel to the remaining stain; leave on for 3 to 5 minutes. Then blot it up – don’t rub. 2. If stain is removed, finish with a water rinse. Blot up again and then apply a pad of weighted paper towels. 3. Apply a mix of hydrogen peroxide and ammonia; let stand for 2 to 3 hours under a weighted sheet of plastic wrap. 4. Repeat application of hydrogen peroxide/ammonia solution and allow to dry under weighted plastic wrap until removal is complete. 5. Apply water with damp towel. 6. Blot up and finish with weighted pad of paper towels. 7. To neutralize the area, apply white vinegar only after stain is removed. Always rinse with water and blot dry as the last procedure. Now with all this cleaning you may find your entire carpet needs a clean now. Or you may need the help of a professional. If you’re in Naples, FL, feel free to give us a try with a free quote. Otherwise, make sure to research a reputable carpet cleaner who won’t make matters worse or leave a residue behind in the fibers.